What an amazing journey – full of synchronicities, laughter, tears, dreams and conversation. Thank you! Group transportation via deluxe, air-conditioned coach. *Per person, based on double occupancy. Single supplement available at $550. Gratuities ($145) additional. Prefer Paper? Download and print the trip information. TRIP IS FULL. PLEASE CALL TO BE ADDED TO THE WAITLIST. Participants are urged to purchase travel insurance for losses necessitated by having to cancel participation due to health issues. For your convenience, insurance forms will be sent upon registration or consult your own agent. Please contact our office at 845.256.0191 for more information. All cancellations must be received by The New York Center for Jungian Studies in writing. Cancellations received up to May 1, 2019: Deposit refundable less $175 administration fee. May 2 – July 3, 2019: 50% refund per person after non-refundable deposit. No refunds after this date. and/or to modify the itinerary (including hotels) as needed. 12 CE credits for psychologists are provided by the Spiritual Competency Resource Center (SCRC) which is co-sponsoring this program with the NY Center for Jungian Studies. The Spiritual Competency Resource Center is approved by the American Psychological Association to sponsor continuing education for psychologists and maintains responsibility for this program and its content. The California Board of Behavioral Sciences accepts CE credits for LCSW, LPCC, LEP, and LMFT license renewal for programs offered by approved sponsors of CE by the American Psychological Association. LCSWs and MFTs from states other than California need to check with their state licensing board for approval. In addition, for both programs, 12 CE credits for NY State Social Workers and Licensed Psychoanalysts are expected to be available through NAAP (National Association for Advancement of Psychoanalysis). NAAP maintains responsibility for the programs and their content as well. Full attendance is required to receive credit.CE credits will be issued at a cost of $50 per certificate. Certificates of attendance available at a cost of $10 per certificate. For listing of CE credits VIEW HERE. 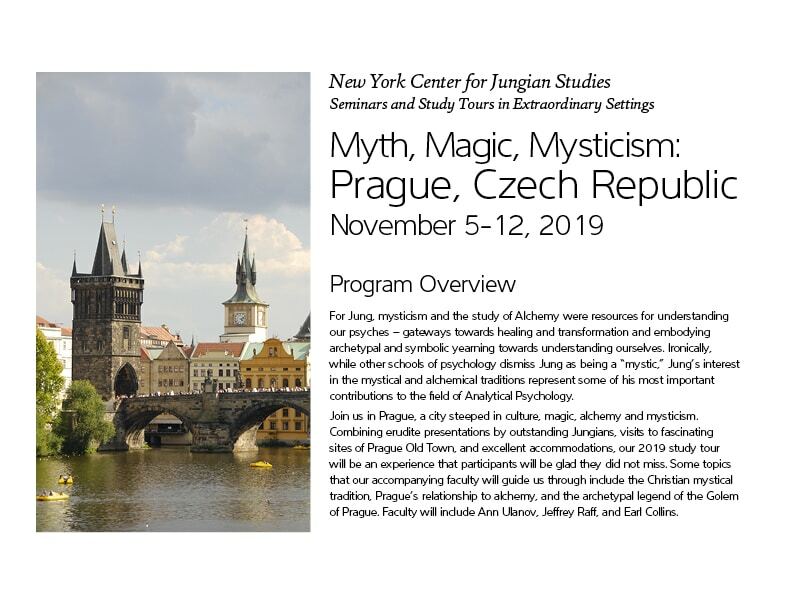 By registering for any New York Center for Jungian Studies program, participant specifically waives any and all claims of action against the New York Center for Jungian Studies and its staff for damages, loss, injury, accident, or death incurred by any person in connection with these programs. The New York Center for Jungian Studies and its respective employees assume no responsibility or liability in connection with the service of any coach, train, vessel, carriage, aircraft, or other conveyance, which may be used wholly, or in part, in the performance of their duty to the passengers. Neither will the New York Center for Jungian Studies be responsible for any injury, death, loss, accident, delay, or irregularity through neglect or default of any company or person engaged in carrying out the purposes for which tickets, vouchers, or coupons are issued, or monies collected. No responsibility is accepted for losses or expenses due to sickness, weather, strikes, wars, and/or other causes. In the event it becomes necessary or advisable for any reason whatsoever to alter the itinerary or arrangements, including faculty and/or hotel substitutions, such alterations may be made without penalty.